Just try and stop me! Professor Treasure has stolen all of the world’s treasures and hid them in his Secret Sky Castle! As an intrepid treasure hunter, you and your friends have finally managed to track down the castle. But another team of explorers is racing you for the prizes held within! Professor Treasure’s Secret Sky Castle is a competitive puzzle game. Send out your team, explore the castle, and bring back as much treasure as possible! But beware! 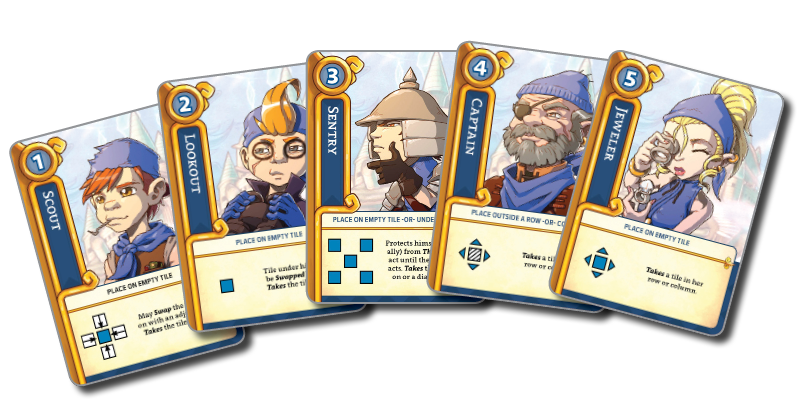 Your opponent will try to thwart your plans and grab treasure for themselves! The explorers available to you and the order they will come out will also change. Deploy your explorers to reclaim valuable treasures, but keep in mind their individual speeds for acting–rival explorers who come later can still grab the treasure first, if they are faster! 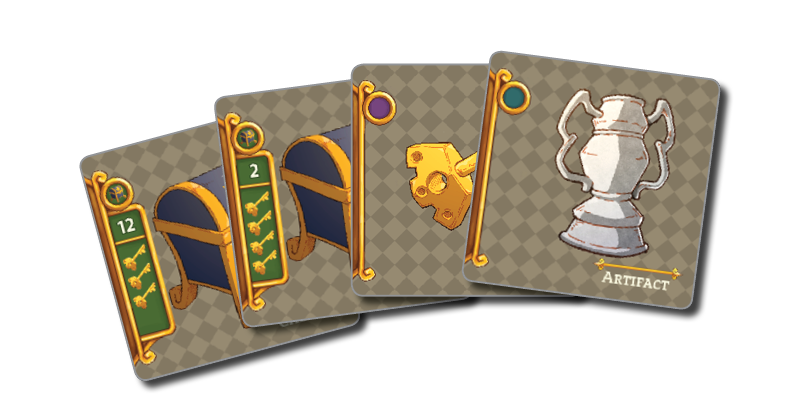 Strategically block treasures from your opponent, and secure keys to unlock chests that you plan to grab. It takes careful planning to make the best possible use of your time and resources each round!